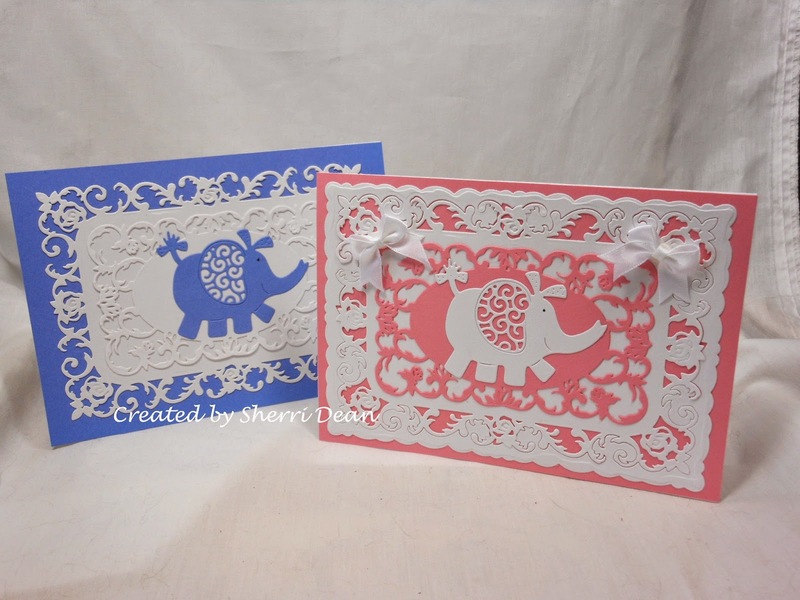 Next, I reverted to my old love of "lacy" baby cards and added lacy dies for the next cards which gave them a whole new look! 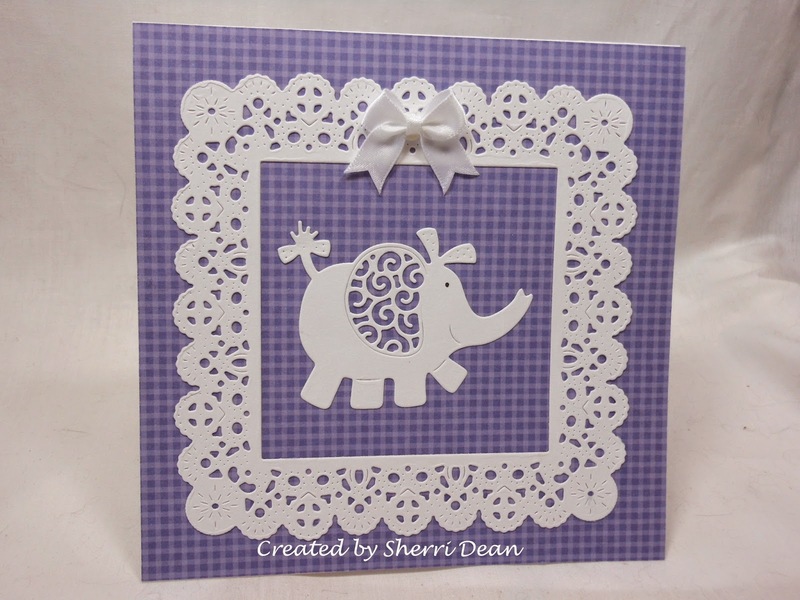 This first card was made with the Cheery Lynn Dutch Scallop Square which was one of the other dies I purchased along with this elephant. LOVE it! I had another new die I had to try out next, so these cards were made with the Spellbinders Romantic Rose die. (Another purchase I am thrilled with!!) I used the 3 large dies on the pink version and omitted the largest die for the blue version for a totally different look! I apologize for sharing so many cards today, but I wanted to show you just how versatile dies can be. Try to think of all the wonderful ways you can use each of them. Mix & match them for totally different looks! You are only limited by your imagination! Check out the Dies R Us store for all the rest of our awesome dies! 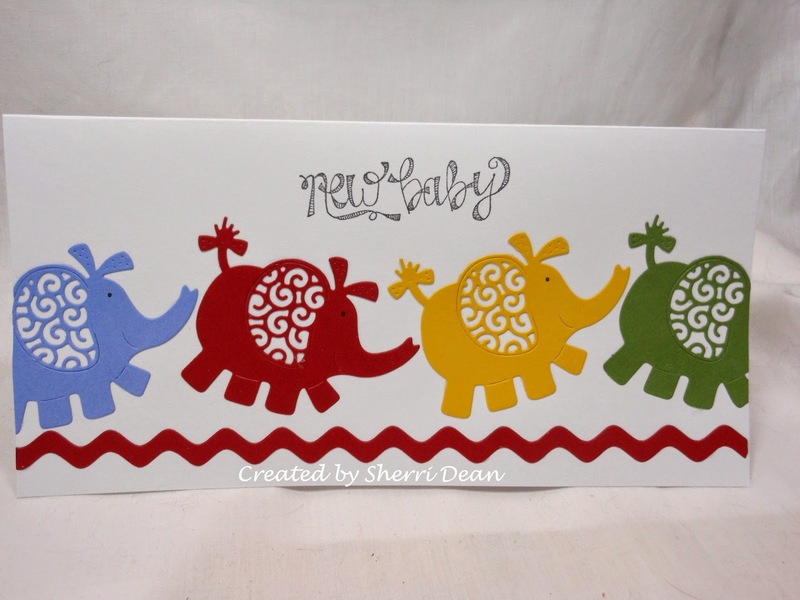 And don't forget we also carry fabulous stamps & embossing folders as well! Be sure you check out the rest of our fabulous design team to see what they are up to also! I'll see you again next Wednesday. Until then, go create something wonderful!!! Butterfly Birthday . . . I've got that Lovin' Feeling . . . I miss you, yes you!